I grew up in a home that had a newspaper on our table every morning. Laid out for us kids to see, we grabbed the comics first, then the Danish news. I was a teen when I started reading the international news. Being aware of the world was something that was expected of us, after all, Denmark is a small nation. We read the paper, we listened to the radio, we watched the news. Not always fully attuned but always aware of at least some of the bigger things happening in the world beyond our own. Being a globally aware and invested teacher is something I have tried to live and breathe for many years now. After all, the Global Read Aloud was created with the idea of making the world not only smaller, but also more interconnected to create more empathy and kindness. My students have therefore in varying degrees always brought the world in, been a part of projects that involved others and tried to know more about the outside world than when they came in. Working on a team with an incredible geography teacher has only made my job easier. We would have two weeks roughly of work time, with time dedicated every single day after we do our 10 minutes of independent reading. Students could choose how they wanted to work and engage with the materials. I used a sheet that simply asked kids how they would like to engage with the learning and then crafted lessons based on this. I have used this approach in the past and it has worked pretty well, this time I should have been more diligent with using it though after the kids filled it out. However, that being said, kids were also good at reaching out and asking questions, as well as use each other for help. I did promise the students that I would only do one whole class lesson; how to write an opinion piece using the MEL-Con format, and I kept my word. My students have asked me to do less whole class teaching and I am adhering to that as I can help them better in small groups anyway. We first needed a question, one that would give us a focal point but would not be shaped or tainted by my opinion, after all, I did want the students to come to their own conclusion. So our guiding question became ; What should America’s role be in the refugee crisis? This was what the students would work toward and discuss. We created a running word wall as student questions came up. I knew I needed texts to start with; thank you Newsela for your text-sets, you saved me so much time. So I pulled nine different texts that highlighted different aspects of the crisis, printed them at three different reading levels and told the students to choose three of them to read at least. I also made all of the texts available as a folder in case they lost their copies. I also wanted students to watch videos; I created a padlet with different short videos that would be appropriate for 7th graders and also less than 20 minutes. Students were asked to watch at least one, but could do more if they wanted to. I then crossed my fingers and asked on Twitter; would anyone Skype with my students about being a refugee? I am so grateful for the response. Three of my classes were so incredibly lucky to Skype with the incredible Rusul Alrubail,she graciously and courageously shared her story of how she became an Iraqi refugee at a young age. To say my students were moved by her story would be an understatement. Yet, the kindness of strangers continued. Another teacher, Emily Green, from Michigan asked her students, some of them refugees, if they would create a small video for my students. Last night, I received three different videos from her courageous kids sharing their stories. Today as I played them for my students, you could have heard a pin drop. So for the past two weeks, my students have annotated the texts (using their own systems rather than ones created by me) for anything that stood out, they have written a summary on one article, and they have crafted an opinion on the guiding question, as well as craft an opinion piece based on all of their newfound knowledge. In some classes we started in small group before we went to whole class discussion. Today, as we came together as a group to discuss what we have learned and what our opinion is, I sat back behind the kids and watched them practice their discussion skills. As kids navigated the ins and outs of adult unmoderated conversation, I couldn’t help but feel just the tiniest bit proud. Yes, they were discussing, yes they were listening to each other, but that was not the only thing I observed. I observed kids who all of a sudden understood just how vast of a nation we live in. Kids who now know where Iraq and Syria are. Who know tales of children passing through Europe unattended as they try to reach freedom. Of people who never wanted to leave their homes but were forced too. Of what we can possibly do as a nation but how many hurdles there may be to making any decisions. I also saw kids who started to understand that for some reason they equate refugee with terrorists. Who thought 10,000 refugees is a large number but have since discovered it might not be. Who know that we need to help but are not sure just how to do that. I didn’t set out to shape the opinion of my students, that is not my job as their teacher. Instead I wanted to create an opportunity for them to form an opinion on fact rather than hearsay, on research rather than rapid talk. I know that some believe America should do more and others think we do too much already. I know that for some they don’t really care either way. But I also know that by giving them more control over their learning, by giving them tools to start with, by creating a guiding questions and then by bringing others in via Skype and YouTube that we have created an experience that matters. That together we now have this piece of the world that ties us together and that will continue to crop up through the year. Yesterday, a child asked me what the deal was with Mosul and weren’t they bombing over there? A child that two weeks before was not even sure that Iraq was a country or what refugee meant. That child had heard on the news that fighting was starting up again and now wanted to know more. As teachers of literacy we have incredible opportunities to bring the world in, to help our children find their opinions, and to create experiences that connect us with other human beings. I wrote a book on how to do just this, not for the sake of the book, but for the sake of making this world a better place. As teachers, we can bring the world in when it makes sense. To make it matter more than just getting through the year or working off our checklist. The year has just started and yet we have so much more to discover about the world. I cannot wait where our learning takes us next. PS: If you would like to see my folder of resources, go here, some of it is loose. I am currently working on a new literacy book. The book, which I am still writing, is tentatively Passionate Readers and will be published in the summer of 2017 by Routledge. I also have a new book coming out January, 2017 called Reimagining Literacy Through Global Collaboration, a how-to guide for those who would like infuse global collaboration into their curriculum. 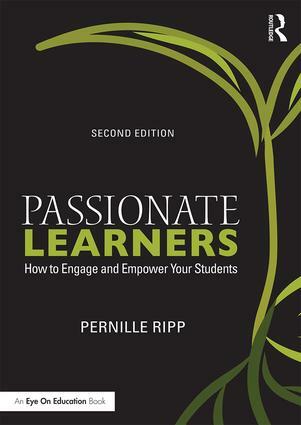 So until then if you like what you read here, consider reading my book Passionate Learners – How to Engage and Empower Your Students. Also, if you are wondering where I will be in the coming year or would like to have me speak, please see this page. This is my 25th year as an educator. My 5th year as a literacy coach. 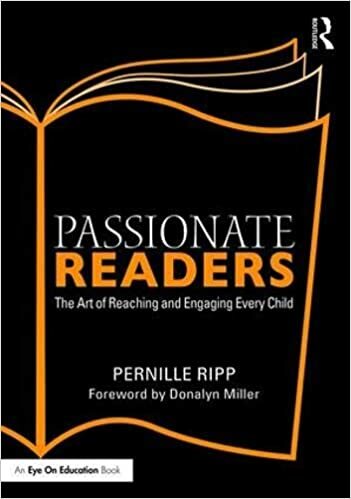 Reading this brought me back to me classroom many years ago, before text sets and videos, but to great teaching and authentic learning experiences for students. Thank you so much for sharing your great ideas with us! Pernille’s class worked did a unit on the refugee crisis, and I was honoured to share my story with 3 of her classes. I love the process that she did to guide her students through the topic. By having students debate, discuss and ask questions about a topic that’s causing a great deal of discussion, outrage, and intolerance is so important to help students see and understand the urgency of the situation. Please have a read and I hope this Pernille’s lesson inspires you to start the conversation with your students. Thank you Pernille for sharing this process, and for inviting me to speak to your students. I love the idea of “planting seeds”, because at the end of the day, if you made one child consider and think about the issue, then you’re making a difference. Love and peace. I love this! I hope to incorporate some of this when we read A Long Walk To Water! Oh I love the global reach this has! It makes me think about how I can incorporate other issues in my classroom, like racism, etc. Today we were reading a short story that focuses on how we make stereotypes and judge others without getting to know their stories. I love how this opens up the stories of millions of people who are struggling and allows the students to form opinions based on what they are learning, not what they are being told.